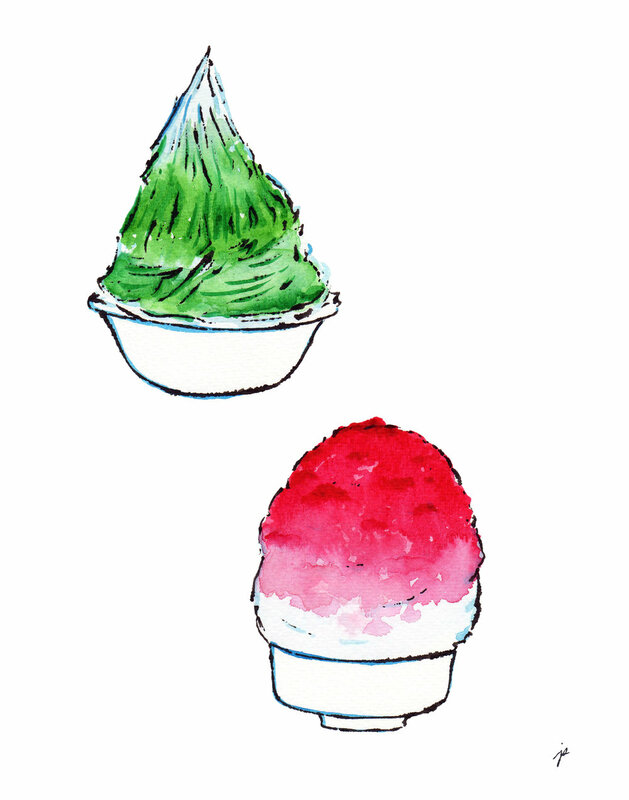 For my Oct tokyo trend report: traditional Japanese desserts are making a major comeback--kakigori is now highly sought after as the new "chic" & "luxurious" sweet and not only in the summer, but all year round. 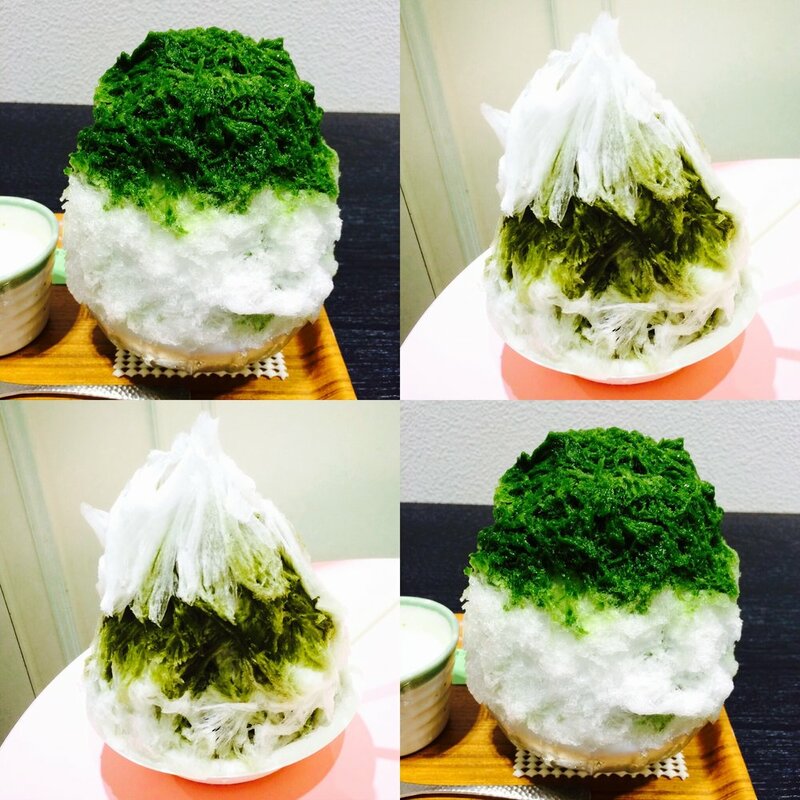 Simple is best, these premium kakigori made from natural ice can easily cost 1000 yen or more! Shown here: matcha & strawberry flavour. And here is a picture of the real ones I ordered, though both were of matcha flavour. Lucky to have tried 2 of the 5 ice made by the rare natural ice-makers! The ice really is different, and melts in your mouth like soft, fluffy snow!